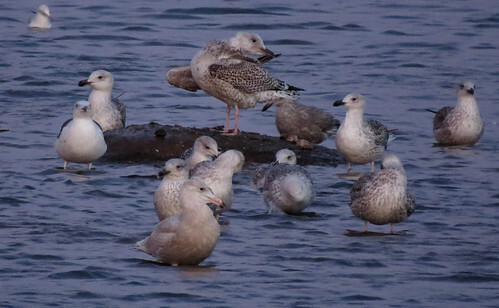 The second half of February saw the white-winged gulls continue to appear at Tophill Low NR, East Yorkshire with a 1st winter Iceland Gull Larus glaucoides present on the 15th. 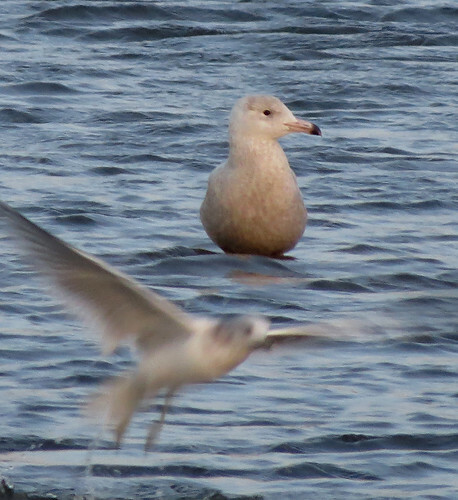 The following evening, either this individual or another appeared around D reservoir, before flying south – the 16th also seeing a 1st winter Glaucous Gull L. hyberboreus and a 1st winter Mediterranean Gull Ichthyaetus melanocephalus roost. 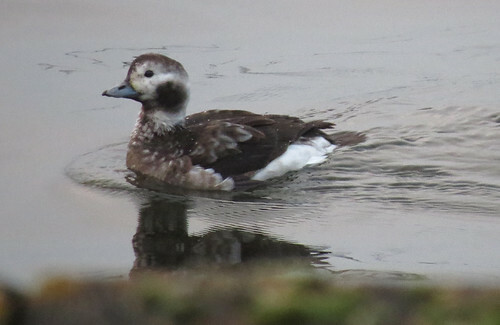 Meanwhile, the second long-staying, or the original returning, female Long-tailed Duck Clangula hyemalis remained on D reservoir, showing well at times from East Hide, the Russian White-fronted Geese Anser albifrons albifrons totalled 54 on both on the 16th and 18th, a Tundra Bean Goose A. serrirostris rossicus dropped onto D reservoir briefly on the 17th – a day which also saw the first returning Oystercatcher Haematopus ostralegus of the spring recorded. Brisk westerly winds on the 20th required a change of gull roosting plan. The usual winter haunt to view D reservoir becomes unusable in these conditions, and alternative viewing options over D reservoir were also unusable due to the weather conditions. Historically, gull roosting at the southern end of the site is rarely productive. Few birds roost on O reservoir, and many vacate the water body either at, or after, last light – some heading south, some north to D reservoir, and some drop on to South Marsh East. Predictably, between the 20th and 28th – no gulls were present on O reservoir at last light, and none were there in the several hours before last light. 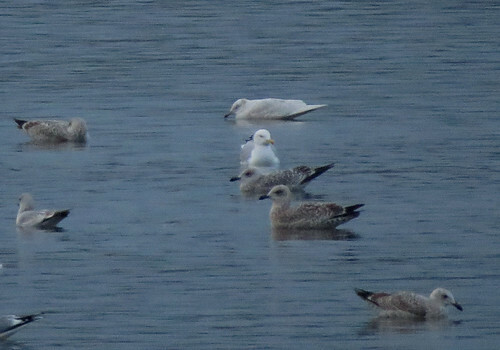 South Marsh East on the other hand saw a 1st winter Glaucous Gull L. hyberboreus roost on the 20th and 22nd, alongside a 1st winter Yellow-legged Gull L. michahellis on the same dates, amongst the roosting Great Black-backed Gull L. marinus. 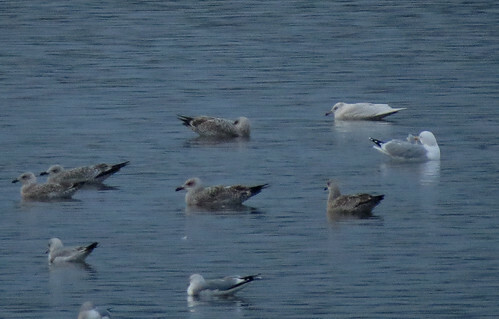 An adult or sub adult Iceland Gull L. glaucoides circled the southern marshes late on the 23rd, and a 1st winter roosted on both the 25th and 26th, the latter date seeing another 1st winter Glaucous Gull L. hyberboreus roost. Another or the same, it’ll never be known as it was too dark to photograph. 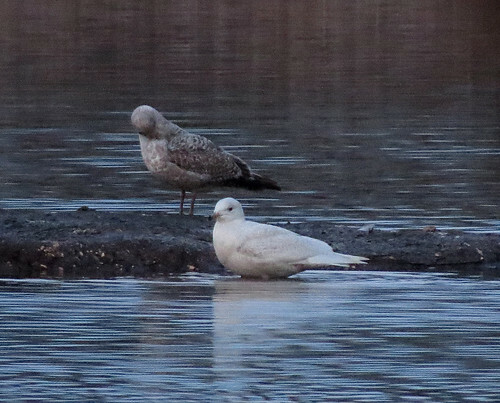 A 2nd winter Iceland Gull L. glaucoides was present early evening on the 28th, but the birds took flight at last light, possibly an Otter Lutra lutra or American Mink Neovison vison in the marsh causing them to ‘spook‘ and depart southwards. Everyone who visits Tophill NR, East Yorkshire will have their own memories of great periods or eras since the site’s creation in 1959. 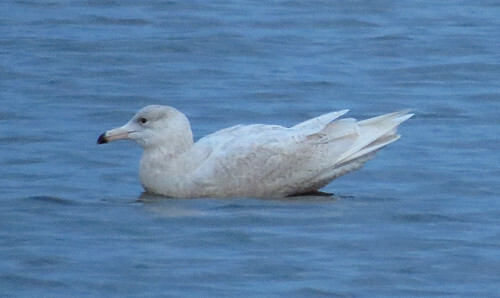 In site statistics, the 55 days from January 5th-February 28th has proved to best period ever for white-winged gulls, with 11-13 individual Glaucous Gull L. hyberboreus and 4-6 Iceland Gull L. glaucoides recorded – this being more typical of a decade’s worth of sightings for these two species according to historical records. There is still time to add more in the next few weeks, ahead of the second winter period beginning in late October. 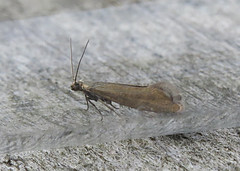 Regardless of further records, and given Tophill’s long 58 year history – 2017 will be the labelled Tophill’s best white-wing year for a very long period of time. Not only gulls, but a Goosander Mergus merganser and almost 100 Mute Swan Cygnus olor roost nightly, with the smaller numbers of Greylag Geese Anser anser, odd Russian White-fronted A. a. albifrons and Pink-footed Geese A. brachyrhynchus, up to 20 Shelduck Tadorna tadorna, while Curlew Numenius arquata sometimes pre-roost before heading presumably to Watton NR for the night. 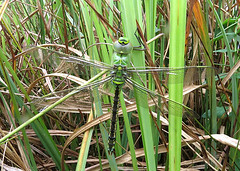 As ever, for the latest news from Tophill Low NR, check out the blog and twitter feed. 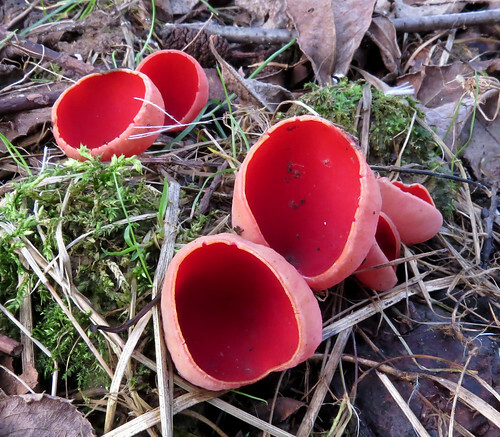 The expected carpet of Scarlet Elf Cup Sacroscypha coccinea traditionally provides a delightful sight in the woodland with early 2017 proving to be no different to past years, and it is fantastic to see it appearing in different areas of the site. 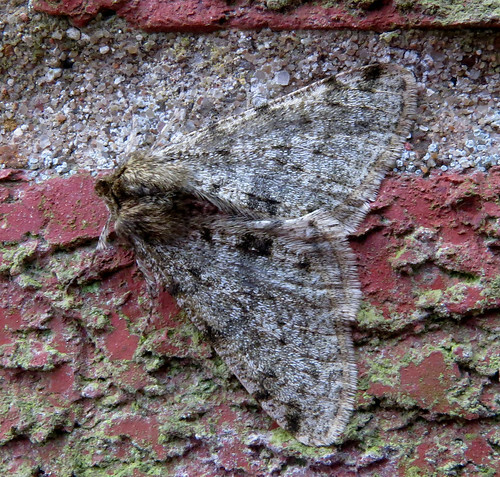 Early season moth trapping has proved slow, only Pale Brindled Beauty Phigalia pilosaria recorded in any number at light, with occasional Chestnut Conistra vaccinii and March Moth Alsophila aescularia.